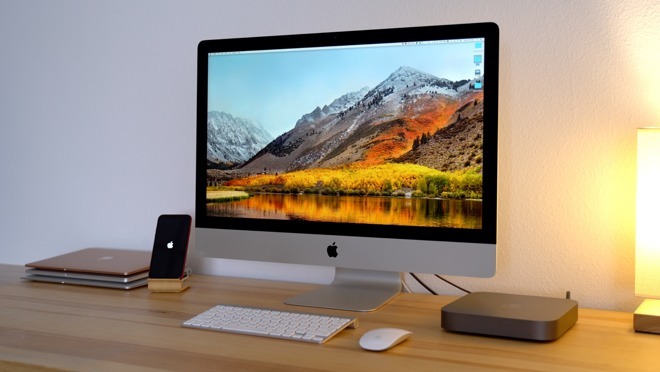 The iMac comes with a built-in display, but it's quite a bit more expensive than the Mac Mini. To keep things simple, today, we're going to compare the top-spec 2017 iMac 5K against the 2018 Mac Mini. Our iMac 5K was priced at $3,300 and came loaded with a 4.2GHz 4-core i7 processor, 32GB of RAM and 512GB of SSD storage. The Mac mini we're comparing has an upgraded 3.2GHz 6-core i7 processor, 32GB of RAM, and 128GB of Flash storage for $1700. That's almost half the price the iMac and would leave you $1,600 for a monitor —except that you lose $400 of that if you add flash storage to the Mac mini that's comparable with the iMac's. As for the memory, we bought the 8GB model on both the iMac and the Mac Mini. We added RAM ourselves to both units, to save a couple of hundred dollars. The iMac 5K RAM is hidden behind a door, and is trivial to add, but the Mac mini requires a (brief) procedure to add your own. If you're looking at spending a bit less, then the iMac 5K can be had with a 3.4GHz quad-core i5 processor, 1TB of Fusion Drive storage, and 8GB of RAM for $1,599 (on sale from $1,799). A $799 Mac mini (currently on sale for $749) ships with a 3.6 GHz i3 processor, 8GB of RAM, and 128GB of Flash storage. With the iMac 5K, you are paying more but you're getting a truly all-in-one computer and all that entails. The 5K display is detailed and color-accurate, using the same exact panel that comes in LG's UltraFine 5K display. Bought separately, that display retails for $1,300. The iMac also comes with Apple's Magic Mouse 2 and Magic Keyboard in the box, so you don't have to worry about buying peripherals. As it has always been, the Mac Mini doesn't come with anything but itself in the box, and you'll also have to buy a webcam and probably a microphone if you want to use FaceTime. 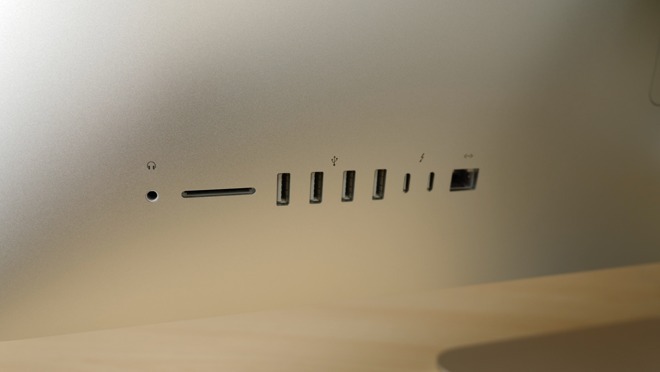 Both machines have similar ports, except the iMac adds an SD card slot, whereas the Mac mini gets an HDMI port. The Mac mini sports two USB-A ports and four Thunderbolt 3 ports compared to only two Thunderbolt 3 ports and four USB-A ports on the iMac, so there's more flexibility and future-proofing with the Mac Mini in this regard. Not only that, but the Mini has a 10-Gigabit Ethernet option for only $100 more. That's going to be useful now if you need to use the Mac mini on a very high speed network or it's going to be useful in the future, prolonging the life of this machine. Adapters are also available to add 10-Gigabit Ethernet to the iMac. The iMac 5K has the Radeon RX 580 card, whereas the Mac mini does not, and instead relies on integrated Intel graphics. How much this matters to you depends a great deal on your use case. If you need more graphical push from the Mac mini, an external GPU is a possibility —but more on that in a while. Testing raw processor performance, the Mac Mini matches the iMac 5k in single-core tasks and easily outperforms it in multi-core. For single-core, the iMac scored 5,659, with the Mac mini's nearly identical at 5,666. On the multi-core side, the Mac mini wins with 25,979 over the iMac's 19,257. Taking it a bit deeper with a 5-run stress test using Cinebench R15, the Mac Mini again stays ahead by a good margin. While the iMac had an average of 930, the Mac mini achieved 1,140. Throughout all the testing, the Mac mini's fan was quieter versus the fans in the iMac. In Geekbench 4's Metal test, the iMac 5k delivers almost five times the score of the Mac Mini, scoring 117 thousand compared to the Mac mini's just-under 25 thousand, showing where the true power of the iMac lies. Testing a more realistic gaming benchmark, Unigine Heaven, the iMac 5K yet again gets over five times the FPS compared to the Mac Mini, scoring 41.3fps and 7.7fps respectively, giving you the ability to play games at decent frame rates. This can also lead to a significant performance boost in professional apps like video editing or anything else that's graphics-intensive. But, mileage may vary, and for your own personal assessment, it's worth evaluating if the apps you use lean on a GPU at all. For instance, if workflows are photograph-heavy, only a few apps take full advantage of a GPU and lean more on the CPU making the Mac Mini a cost-effective option. And, as we said earlier, if you're a video editor or you do other graphics-intensive work, you can easily hook up an eGPU with the same Radeon 580 graphics card that comes in the top-spec iMac 5K for around than $500 total. Plus you can swap that out for a better card later, if you need still more video processing power. If you're someone who's thinking of switching from a PC to Mac right now, in early February 2019, the iMac mini is a great choice because you probably already have a mouse, keyboard and a display. Chances are if you're a photographer, you also have a high-resolution and very-color accurate display as well taking that out of the financial equation. 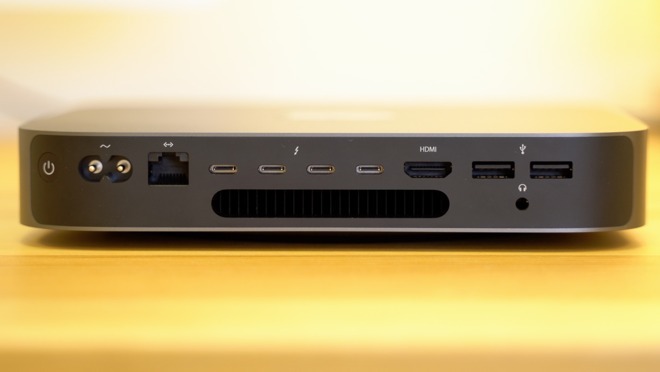 If the graphical power of the Mac mini isn't enough, you can even grab your graphics card out of your PC, put it in a $300 Thunderbolt 3 eGPU enclosure and use that to boost performance. The equation is a bit different if you're starting from scratch, though. Buying an iMac 5K may seem like the obvious choice since you can get the 5K model for at little as $1800. It's one price for one machine that comes with everything you need such as Fusion Drive storage and of course that display which is worth $1300 on its own. What that ignores, though, is the difference in age of the two machines. 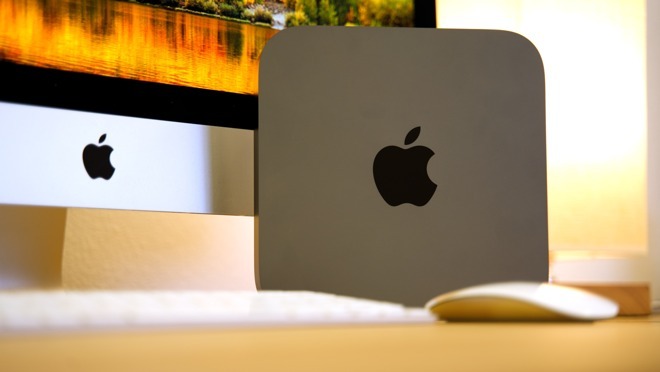 The Mac mini was last updated in October 2018, and is the most recent Mac to see a refresh. 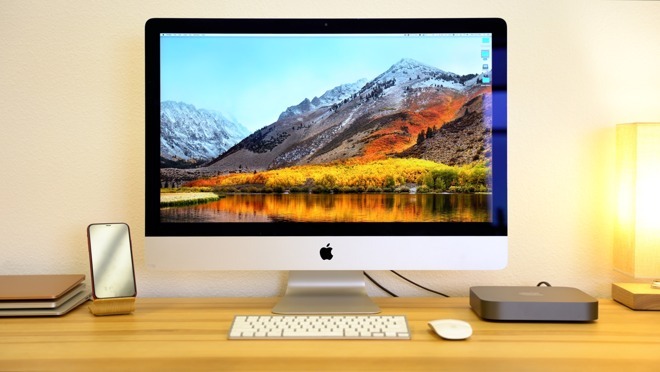 The iMac 5K is around 16 months older and we've yet to see substantiated reports of an update. It's still a solid offering but you're investing in technology from June 2017. There will always be something new, though, and even the day after something ships, there will always be a new model you could wait for. And, it does always feel like that new model came out just after you settled on what you wanted. That set aside, your true choice comes down to how important one of two things are to you. There's the value of the 5K display built into the iMac 5K, which is undeniably hard to beat. Yet there's the greater performance that can be squeezed out of the CPU of the Mac mini and that is compelling. You're not buying a Mac on a whim, though. You're buying to do real work and that can't wait. So while we can help lay out the cases for both machines, you have to make your decision based on your needs and your budget right now. The great thing is that for the first time in many years, we truly have a choice of great desktop Macs to pick from. 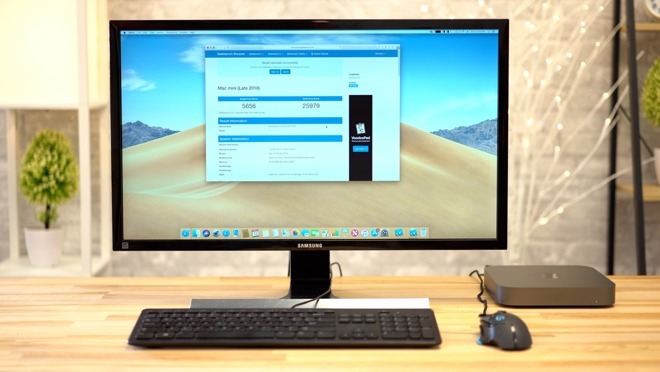 Shoppers looking for the lowest prices on Apple's 2018 Mac mini can save $50 to $100 on every configuration with coupon discounts and/or instant rebates at Apple authorized resellers. Prices start at $749, with select retailers collecting sales tax in select states only. Meanwhile, current iMac 5Ks are up to $200 off, with prices starting at $1,599. The robust configuration used in this comparison can be purchased for $3,199 at Adorama with coupon code APINSIDER.